Home » Adventure » Live at Lakeview: Trashy hangout or local hotspot? Live at Lakeview: Trashy hangout or local hotspot? There seems to be this notion floating around Tahoe that Live at Lakeview is some sort of local riff-raff party. Unless you’ve been living under a rock, you’re most likely well acquainted with the popular summer concert series. Every Thursday, from June through August, Lakeview Commons fills to the brim with people who show up to partake in live music, sip on some brews, check out local venders, and take in the sunset. So how did the popular concert series, which kicks off for its 5th season this Thursday, garner this negative reputation? The baseline assumption seems to be rooted in an idea that because Live at Lakeview is a free event with a beer garden, it’s just a hangout for local partiers. But is that really all Live at Lakeview offers our community? 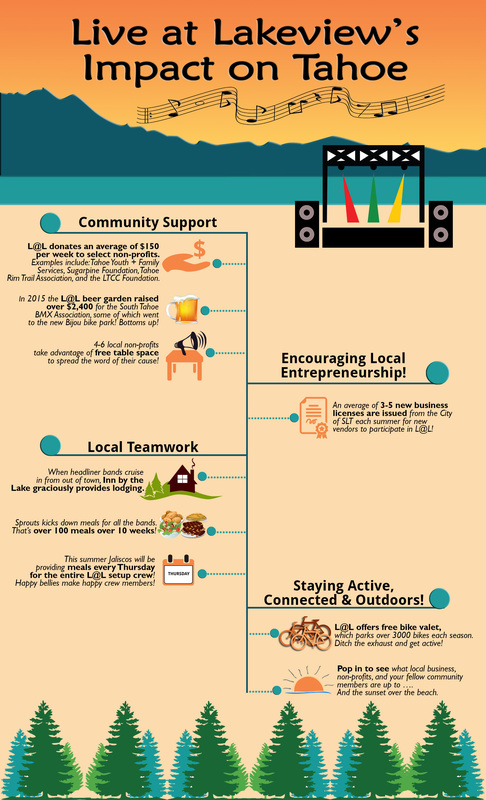 In addition to this, Live at Lakeview has proven to be a great hangout for families. It offers parents the opportunity to get out of the house without having to hire a babysitter—plus, kids love dancing on the beach. In many ways, Live at Lakeview is more than just a concert series. It’s a gathering where anyone, and everyone, who is passionate about our community can come together to celebrate Tahoe. So, then, why the bad rep? As they say, perception is projection. We perceive things in a way that validates our feelings and beliefs, and project through the filter of our assumptions and experiences. If we think something is ‘ugh’, that often says more about us than of the thing we are ‘ugh’-ing. And communities are not immune to this. Projections can be especially contagious on a local scale. Check out any Tahoe-based Facebook group (E.g. Knuckle Draggers) and you can see how opinions spread like wildfire through this town. Any project that involves a community is bound to encounter some criticism. Thankfully, it’s up to US to decide whether or not to drink the Kool-aid. Are we going to point out what we don’t like and complain about it, or are we going to seek out the positive and find ways to contribute? Live at Lakeview has simply found a way to harness our love for fun, music, and being outside for the greater good of our community. 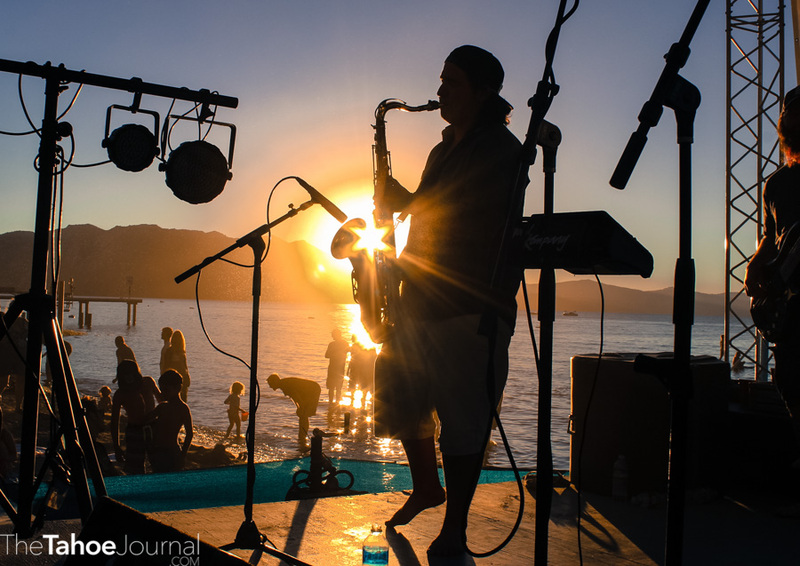 It’s an event that has grown out of a profound love and understanding of Tahoe. But don’t take our word for it, that’s just our perception. Come up with your own by dropping in this Thursday to check out Paa-Kow and Drop Theory. We’ll see you there! For more info on Live at Lakeview, check out their Facebook page or visit their website!